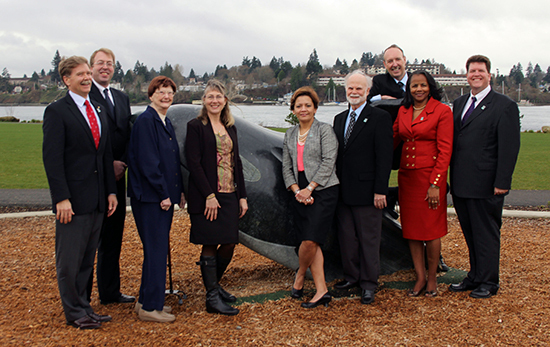 Q: How does one sum up the life of the 2013 Bremerton City Council? A: In verse, of course. Happy holidays, everyone. in January became eight, when Roy Runyon resigned. Wendy Priest, they found, to be a familiar face. and luckily for the city, volunteers would lend a hand. and found a new police chief, who vowed to catch frequent flyers. without much of a huff. So Council mandated they be licensed, and it passed with esprit. the requirements for landlords, and for them to be licensed. They started to wonder, what city did he monitor? the public would react, like they were pulling a fast one. The city responded with what they felt it was needing. it was only losing money, because growing it was overdue. had to go, the city said, for they were tearing up concrete. and a tree group was formed, to find which would be felled. drive-thrus could come back, to the car lover’s delight. Lower Wheaton and Washington, will get multimodal avenues. so the Council decided, that utility fees could be brought. one the mayor and the judge, and all council members would address. in the end, Lent prevailed, despite the naysayers. wasn’t pulling its weight, and ought to be chided. our second term mayor will hope the seven’s able. a lot of energy, they will need, or at least some caffeine. Blogger’s note: The fight over electric vehicle charging stations on the Pacific Avenue improvement project was omitted from the year in verse. On purpose.